"The finished look of wool bouclé knit in the most versatile outdoor style, the Scout Jura Vest dresses up routine winter days while lending comfortable warmth to the core for cold-weather layering. 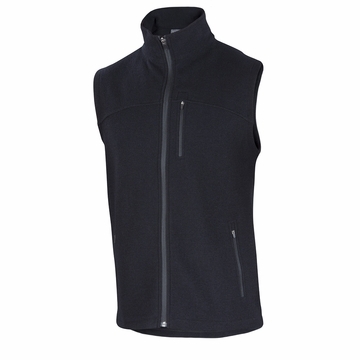 Business or casual, the Scout Jura Vest gets high marks. Our Merino bouclé fabric is a delicately looped knit built to face the wind. Opposite the loops, a smooth internal face is easy and comfortable against an under layer. Ibex bouclé is a reassuring weight. 21-micron fiber is the basis for this long-wearing, easily-cared-for fabric. Light Milled Merino Bouclé. "